Texas Contractor – February 2018 – Houston, TX — Freddie T. Bustillo, James Mitchell, and Rick Brown recently joined the Houston office of Welty Construction Company. 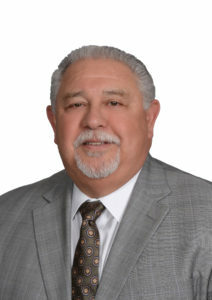 Bustillo brings more than 36 years of experience in the construction industry and is Vice President of the Houston, Texas, office. Throughout his career, he has held a variety of positions, from Project Coordinator to Vice President, which has given him full knowledge of all aspects of the construction process. Bustillo is experienced with construction projects from a variety of markets including Higher Education, Healthcare, K-12, Aviation, Criminal Justice, General Public, and Private Developer. 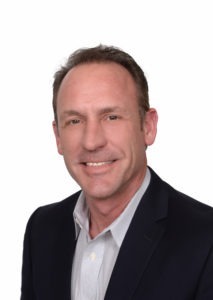 His experience includes projects with The University of Texas MD Anderson, Houston Community College, Cy-Fair ISD, The University of Texas Southwestern Medical Center-Dallas, and Dallas County Community College. Mitchell has more than 19 years of construction experience and serves as Senior Project Manager. He has comprehensive experience in construction planning, development, contract administration, and operations management. He oversees projects and schedules, coordinates clients, designs and administers construction processes. He also brings a breadth of experience making decisions on matters effecting safety, quality assurance, scheduling, cost procurement, planning and personnel. He has worked on the campuses of Exxon Mobil, Phillips 66, Katy ISD, Houston ISD, and Methodist Hospital Research Institute as well as the headquarters building for the Houston District of TxDOT. 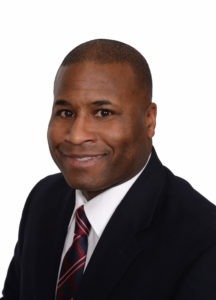 Brown is Senior Superintendent and brings more than 21 years of construction management experience with a specialty in healthcare construction. He is skilled at managing project schedules and streamlining work flow. Brown’s dedication to safety, total quality management and risk mitigation makes him a valuable contributor to the Welty team. His notable projects include Memorial Hermann Hospital-Katy, Methodist Hospital Main Campus Core Lab Renovation, Brazosport ER, BG Group Headquarters, and Noble Energy Headquarters. Welty Construction Company provides professional construction management services, specializing in Lean construction, for clients in a variety of healthcare, commercial, education, energy, mission critical and hospitality markets nationwide. With offices in Akron, Cleveland and Columbus, Ohio and Houston, Texas, Welty delivers the most extraordinary building experience by never being afraid to do what’s right – since 1945. Welty has had the distinction of creating many prestigious community assets, including the world-renowned Goodyear® Tire & Rubber Company’s Global Headquarters, a multi-phased, massive expansion to the Pro Football Hall of Fame, Kay Jewelers Pavilion at Akron Children’s Hospital, the City of Akron’s Ohio Canal Interceptor Tunnel, numerous academic buildings at The University of Akron and many others. For more information, visit: www.thinkwelty.com.